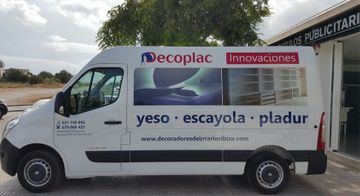 Welcome to our website; Decoplac Innovaciones, a company that offers guarantees and professionalism in the completion of plaster and plasterboard work. 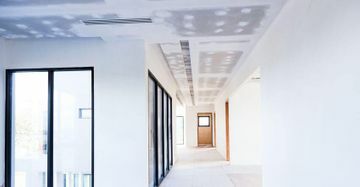 We are backed by 12 years of experience and innovative techniques that apply. 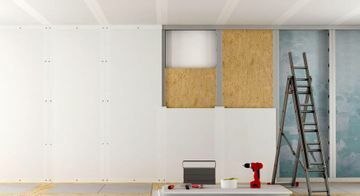 Decoplac Innovaciones Hermanos Loor man doing shelf in Sheetrock. • We are located in Ibiza.